With a 2 Hour Workday, I really did earn this beer. Well, truth be told, here’s how it happened. I woke up late. About 8am. Made a coffee and jumped on the Laptop. I clocked in two hours of total focus. I did everything my business needs to make money. With zero distractions. 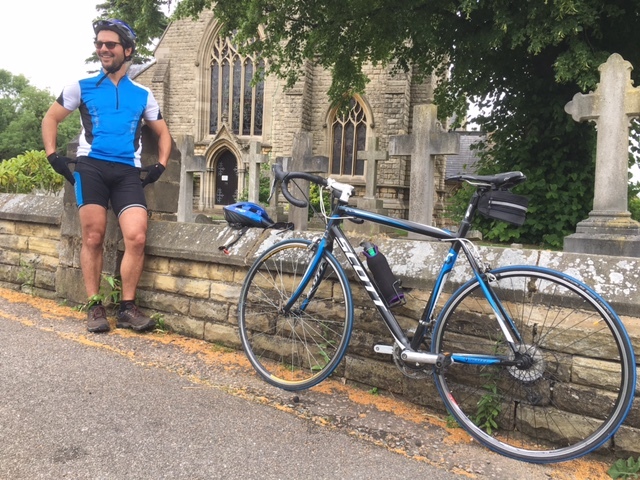 Well, my mate – who’s place I was staying at in London – said lets go for a bike ride! It was a gorgeous day, he had 2 bikes and gear to go with it – so we did. We did the middle aged men in spandex routine. We hit the tarmac and he put me through my paces. My God! This man can cycle. We embarked on an hour-long ride through the English countryside. Fast. Sometimes up hills and always in a bit of crazy London traffic. London traffic is crazy even on the outskirts. Overtaking cars, dodging little dogs and obeying the traffic rules which I didn’t really understand. But the hills nearly killed me. 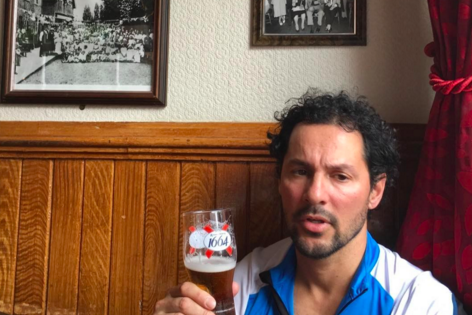 So he took mercy on me and after an hour of power-touring on a pushy, we stopped at a English Pub for a beer. Or lager, as they say. Visibly spent, he let me unload all my problems to him and took the beer pic above. I was complaining about this that and the other, but the real problem was he beat me on the road and I was upset that I couldn’t keep up! So the 2 HR WORKDAY was actually hard work because of the bike ride after it. But once I caught my breath and checked my ego, I realized I had just had the best bike ride of my life! Beautiful scenery and great workout with an Old School Friend in another country on holiday. All of this was possible because of The Laptop Life. Being able to work from anywhere, anytime. The 2 Hour Workday can be yours. Its actually healthier to do that 7 days a week than to spend 40 hours at a job that not all of that time is productive. The business I have constructed is really starting to put my life on steroids. Memories I have from this day will stay with me for a long time. What memories could you create with a Laptop in your luggage? What boxes could you tick from your bucket list? And will you work longer than 2 HRS? The thing to get your head around is this business does not need more time to make money. It needs just more money to make more money. And that is a reality as you start to gain momentum. You can make $2,000 with a 2 HR workday. Or you can make $10,000 with a 2 HR workday. Makes no difference, because you are not trading your time for money. You are leveraging systems, with whatever capital you can get your hands on. If you want to learn more about the Solid 4 Step System to make money online > sign up for the $1 trial. And…take advantage of The 2 Hour Workday.